For a while it seemed as though Amir Khan would get his dream of a super fight against either Floyd Mayweather or Manny Pacquiao. It was certainly unlikely that they were going to fight each other, and they would both need opponents and Khan was coming off a supremely dominant performance over former world champion Devon Alexander. Amir Khan has had a lot of ups and downs in his career, but it seemed as though all the chasing had been doing was going to pay off one way in another. Unfortunately for him they ended up making the fight and he was left out in the cold without an opponent or a world title. His last fight was in 2014, and so surely will now be searching for a good named opponent to try and nab a match with one of these guys at a later date, or another big fight at the very least. Also for a while, Eddie Hearn of matchroom sport seemed very interested in making a fight between Khan and his fighter, IBF champion Kell Brook. 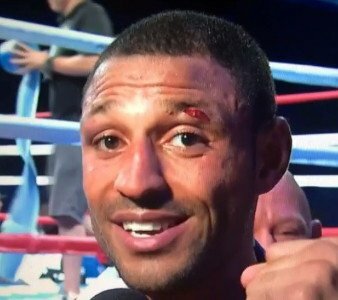 Brook won the title by vanquishing undefeated Shawn Porter, and then was injured on holiday so was taking some time off. The fight had been discussed as a domestic clash even before Kell was a champion, but now that he was a world champion it was even better. It made sense. Two of the best British fighters having a showdown on home soil to determine which man was the best once and for all. Obviously whilst a Mayweather fight is possible, even if it is unlikely, you look for that as your priority. Now that is off the table, can this fight be made? There are other options for Khan on the world stage at welterweight, but none for a title, and probably none that would pay this well. We all saw how well Groves vs Froch did, and in that fight Groves was relatively untested at world level. In this situation you have a current champion vs a former champion, so everyone knows they both have what it takes to compete at that level. The chances are this isn’t going to happen immediately, but also it will very likely happen eventually, but at this point is it Khans pride alone stopping it from happening? Brook has to take care of his mandatory next, but this could set up a super fight a few months on at the start of summer and it would crown a legitimate champion in the division and maybe even land a Pacquiao or Mayweather contract in September is there isn’t a Pacquiao rematch. You are here: Home / British Boxing / Will Amir Khan end up fighting Brook after all?